At AdvantEdge Business Centers, we understand that as a business-owner, your obstacles, priorities and obligations may shift very quickly and we are well equipped to provide an environment that will nurture your success at all points in your company’s growth. Preserving flexibility is extremely important as your business evolves and our flexibility is the biggest reason our clients stay with us year after year. We offer flexible terms you would be hard-pressed to find in a traditional sub-lease, so you won’t be locked into a long term commitment. 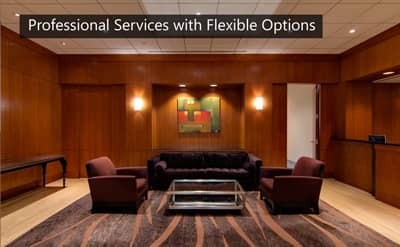 At our shared workspaces, you will enjoy access to all of the amenities your business needs to thrive, including state of the art conference rooms with a variety of sizes and configurations, spacious and comfortable lounges and cafeterias, and a prestigious Washington DC address, without the full financial burden of paying for extra square footage that often goes unused. Another advantage to working at a shared office space rather than sub-leasing an office is the personalized attention you will receive. In a sub-lease, your fate is at the whim of the party that is responsible for the primary lease. You could be pushed out out of your office and forced to relocate or you may outgrow your space before your contract ends. On the other hand, in a shared workspace, your environment will be curated with your businesses’ best interests as the main focus. 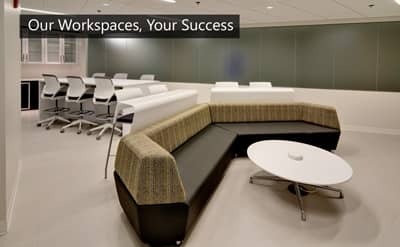 We promise to do all we can to create the ideal space in which your business can function and thrive. We offer extra storage space if needed and will help in furnishing and moving into your new office. As your business grows, you will have multiple options to accommodate additional employees and we will work with you to make sure your new space is the perfect fit. Overall, a sub-lease will not provide you with the unique personal support you can expect at a shared workspace. AdvantEdge employs a full-time administrative staff that will make sure all of your needs are met with options that allow your company to move at its own pace. We are well-practiced in the logistics of managing businesses including handling mail, phone calls, internet, kitchen and copier maintenance along with tech support. By joining one of our centers, you are pushing all of these potential headaches off of your plate so you can direct all of your energy towards your business. Save valuable money and time by working with a shared workspace. We’ll take care to provide all the services and amenities your business needs without restricting your options or opportunity to grow. 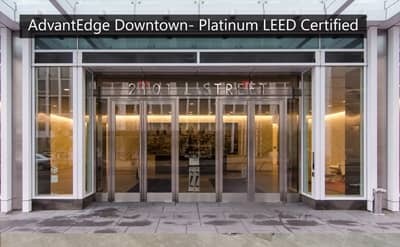 To learn more about AdvantEdge locations in Washington, DC click the button below.